Welcome to Crestmark! 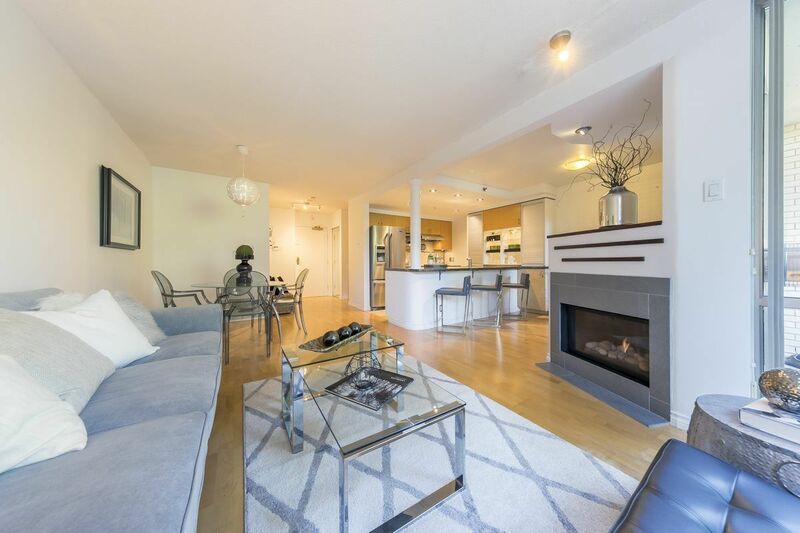 Great value for this bright and beautiful 2 bed/2 bath waterfront townhouse residence in Yaletown! This two level suite features two separate entrances and a lovely patio space on each level. The main floor consists of an open kitchen along with your living/dining areas, a cozy gas fireplace and plenty of storage. Both bedrooms are upstairs including an enormous master bedroom and ensuite bathroom. Amenities include a 24 hour concierge, exercise centre, pool, hot tub and sauna/steam. One of the most sought after locations in Vancouver and only steps from the seawall, Urban Fare, Canada Line and Yaletown shopping and dining!